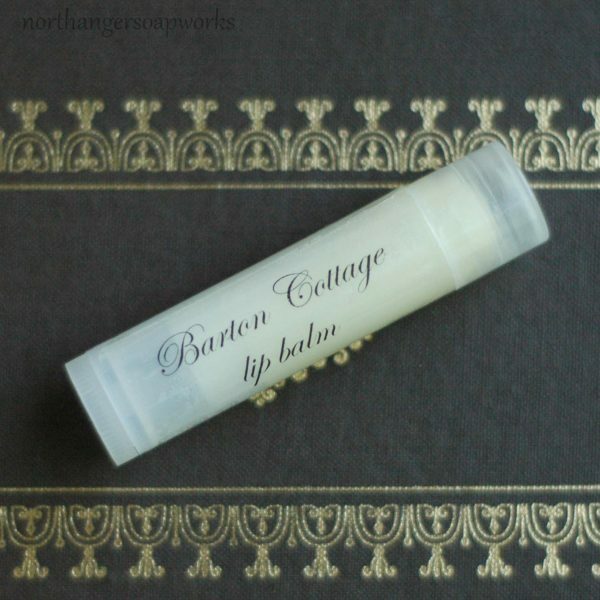 Barton Cottage lip balm is all natural and handmade, inspired from the cottage home the ladies of Sense and Sensibility grow to love and the herbs that might be found there. It goes on very soft, almost like a gloss. 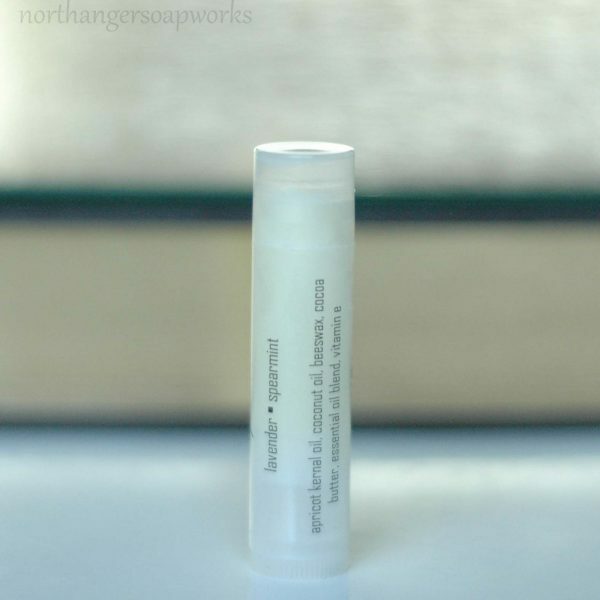 Made with lavender and spearmint essential oils, it is a lovely balm that will keep your lips soft. 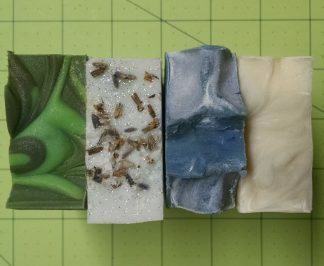 It is lightly scented. “I am excessively fond of a cottage.” ~Mr. Robert Ferrars of Jane Austen’s Sense and Sensibility. Handmade in small batches with gentle, moisturizing ingredients. 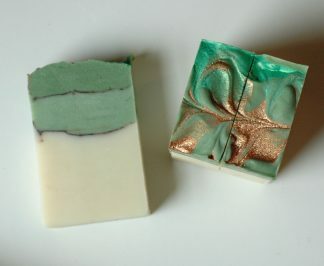 It is made from sweet almond oil, coconut oil, beeswax, cocoa butter, essential oil blend, and rosemary oleoresin. Net weight 4.25 grams / 0.15 oz. 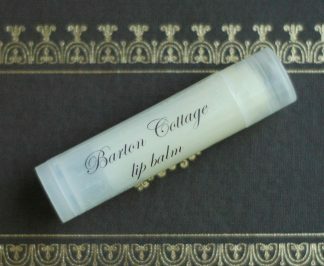 Lovely lip balm! It smells wonderful and goes on the lips nicely. It’s a very good price and I love it!